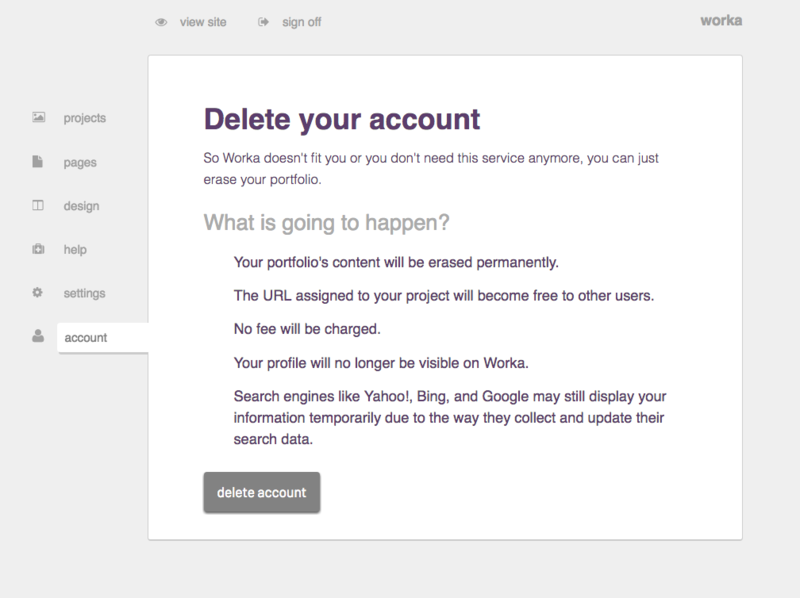 In case you want to erase all your content from Worka, you can delete your account from Account. 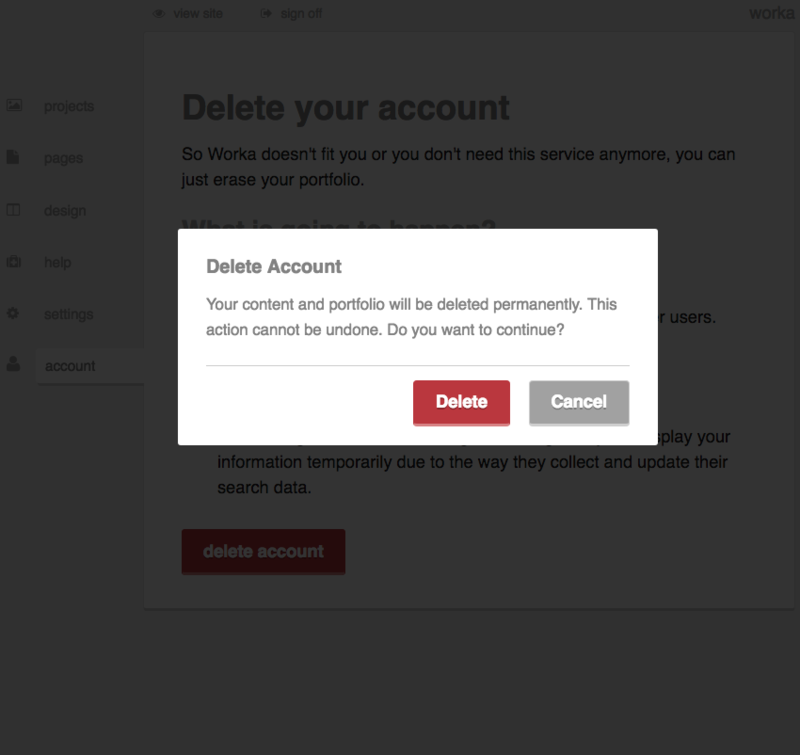 By pressing the “Delete your account” button, you will be able to close your account and your portfolio from Worka. Remember that there is no option for downloading your content, so everything that is not saved as your backup by you will be erased with no possibility of recovering it.